As I discovered during a clinical rotation this summer, my main interest in Physical Therapy is to work with the geriatric population – especially those who have cognitive impairments such as Dementia. Since my personal experience with and knowledge base of interventions for this population is still somewhat limited, I decided to investigate various exercise interventions for this patient population. An article that really caught my attention was one investigating the applicability of High Intensity Exercise Training Programs (HIT) on patients in residential care facilities who have moderate-severe physical and cognitive impairments and who are dependent in at least one activity of daily living (ADL). It is important to realize that in this patient population, applicability must be weighed just as heavily as the potential effectiveness of the intervention. After all, a given intervention could be proven to be extremely effective at achieving the prescribed goals at hand, but if a patient cannot or will not participate, the effectiveness of the intervention becomes irrelevant for that individual patient. Interestingly enough, besides a prior study completed by the same research team that wrote this article, there is limited information available on the use of HIT in elderly patients with severe physical and cognitive impairments. In all fairness, this population does present with a wide range of inherent complications in relation to HIT exercise, the least of which is a high risk of adverse events due to the exercise program itself- which may be one reason research in this area is currently limited. 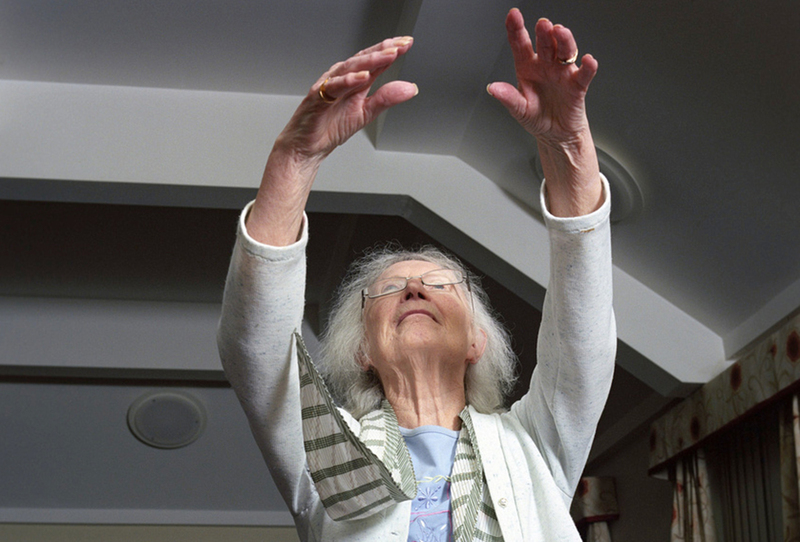 However, it is also important to consider that the proven effects of HIT exercise in the elderly- improved strength, balance, and mobility- are all key factors in reducing assistance needed for ADLs and in reducing fall risk. While the researchers state that they did prove the effectiveness of the HIT training program for this patient population in their prior study, the current study was designed to examine the other piece of the puzzle – the applicability of the program to the severely impaired elderly population. Patients were randomly selected and assigned from the Frail Older People – Activity and Nutrition Study in Umea (FOPANU Study) from a pool of 9 Swedish residential care facilities. To be included in the study, patients needed to be at least 65 years old, dependent for at least one activity of daily living(determined by the Katz Index), able to stand from an armed chair with an assist of only one person, have an MMSE score of at least 10, and have MD approval to participate. 191 patients total were included in the study, and were randomly assigned to either the HIT exercise group or a social activity group. The exercise intervention was based on the HIFE program, which is based on functional weight bearing and was developed by the authors in a previous study. Exercise sessions were 45 minutes in length and were performed a total of five times every two weeks, for a total of 29 exercise sessions in 13 weeks. Schedules were given to both the subjects and facility staff, and verbal reminders were also given to residents by staff and PTs alike. Subjects were placed in groups of 3-7, and each group was supervised by two PTs; if a subject could not or did not attend a group session, individual sessions were performed by the PTs. PTs assessed the patient’s ability to walk without the use of an assistive device and used HIFE guidelines to choose appropriate exercises out of each of five possible categories: 1) static and dynamic balance exercises in combination with lower extremity strength exercises; 2) dynamic balance exercises in walking; 3) static and dynamic balance exercises in standing; 4) lower extremity strength exercises with continuous balance support; 5) walking with continuous balance support. Exercises were also adjusted during each session according to each individual patient’s health status and well-being at the time of the session. Finally, patients were allowed to self-select their exercise intensity, but were encouraged by PTs to increase the difficulty of exercises and level of exertion. A median of 76% of patients attended all sessions; high intensity exercise was performed at a median of 53% of sessions and medium-high intensity at a median of 92% of sessions. Adverse events occurred in 166/1906 sessions, and all but two were minor or temporary. All but four subjects completed the study, and the reasons for these withdrawals included death, a diagnosis of cancer, and inclusion in other studies. Both those who were cognitively intact and those who were cognitively impaired benefited from the exercise sessions. So is this program applicable? The HIFE/HIT program does not appear to be applicable in this population, and at this point I would hesitate to use this training program with my own patients. There are some questions that remain unanswered in the study- for example, why was the median attendance only 76% when patients were reminded about the sessions and resided in such facilities where staff could physically bring them to sessions if necessary? It is also important to note that the occurrence of adverse events seems to be higher than the researchers openly state. While they make note of major events such as chest pain, they do not put emphasis on adverse events such as pain and soreness, which could potentially also have an impact on attendance and participation. The jury is still out on the applicability of high intensity exercise training in the elderly population with moderate to severe cognitive and physical impairments, and more overall research is needed in this area. 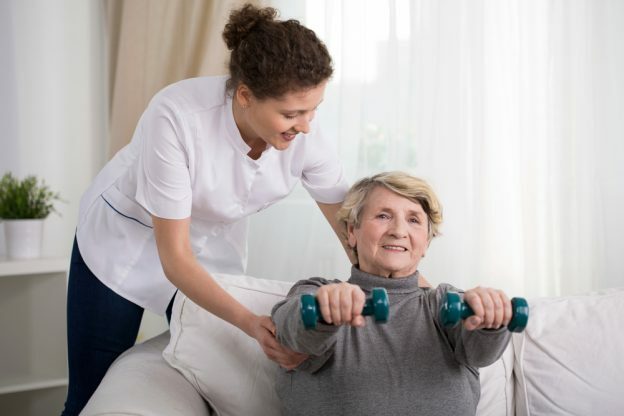 A High-Intensity Functional Weight-Bearing Exercise Program for Older People Dependent in Activities of Daily Living and Living in Residential Care Facilities: Evaluation of the Applicability With Focus on Cognitive Function. Littbrand H, et al. Journal of the APTA and the Royal Dutch Society for Physical Therapy, 2006. Photo: From the ‘Eld’ project by Claire Bazeley.